I haven't done a haul in absolutely ages. I'm finally starting to do more clothes shopping. The things I've bought this week, some of it is very Autumn/Wintry but some of it is just sort of basic. Also, not quite sure why I am making it out like I've got heaps to show, but it's kind of a small haul, haha. I've generally been searching around for a casual type of blazer for a while just so I could throw it over something. Especially for like events around this time of year, like if I go to a party of something I can just throw it over a nice dress. I was specifically looking for a blazer this week for my uncles wedding yesterday and I'd been searching in loads of shops and most shops didn't have any or if they did they were out of my price range. 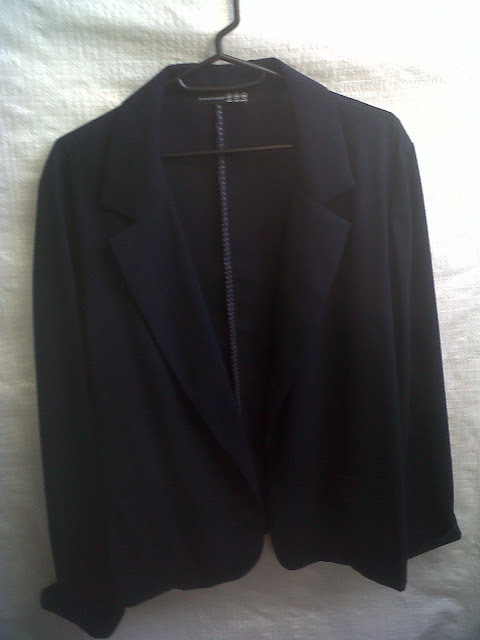 Strangely, I went to Primark last week for the fourth time in a week and I was standing by some clothes when me and Ally spotted this blazer just hanging there with no price tag or a hanger and it was in my size too. It was actually perfect then when I went to pay with my mum I found out that the price had been reduced so I was extra happy about that. When I first ever saw Primark's new Autumn/Winter collection I knew I wanted to get my hands on one of these bad boy jumpers. 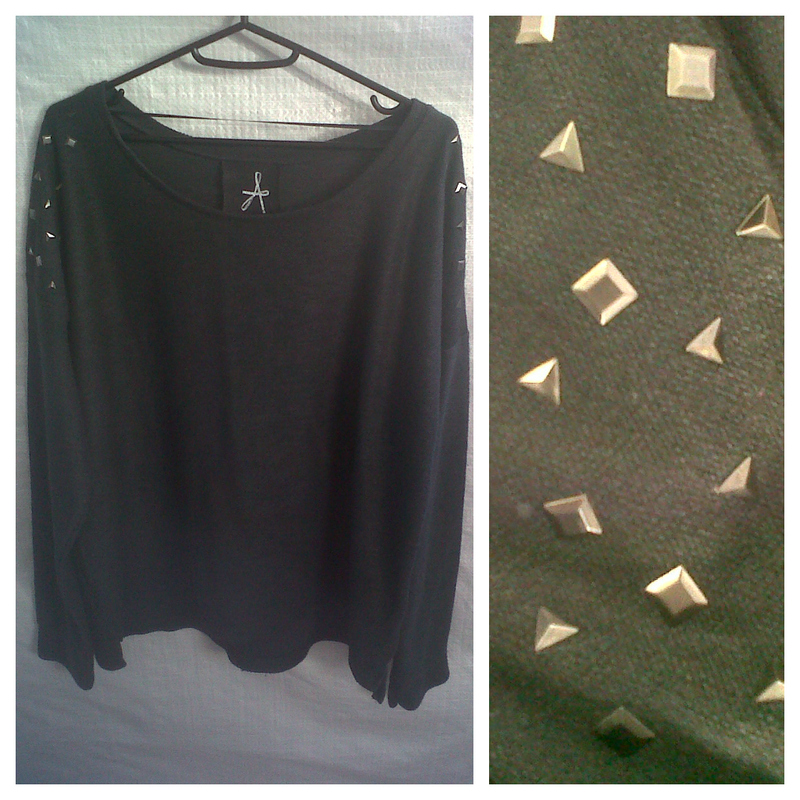 ;) I love studs and just think that they go perfectly on this jumper, it isn't over the top which I really like. It obviously doesn't show that good in the picture but the colour of it is like a super dark green/almost black. 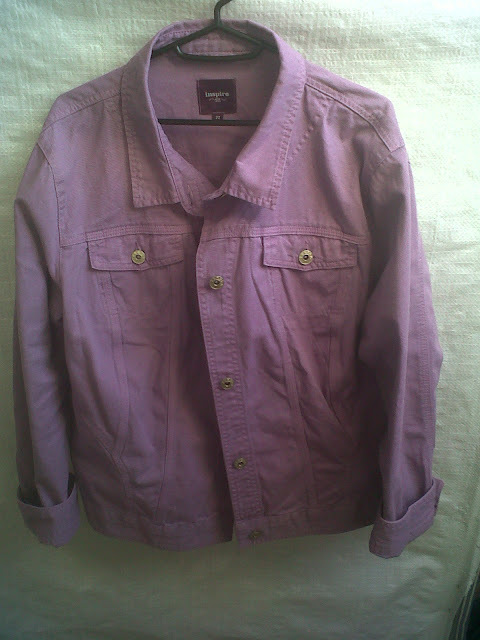 I originally wanted it in the khaki green colour but I couldn't find one in my size so just went for this one instead. There's something so interesting about this jumper as it isn't as thick as other jumpers and it looks weird put under cardigans, so it'll be cool to see what clothes I can pair it with. I am in love with this top. Ally went shopping before me and picked one of these T-shirts up, I was going to get one in a different colour but then just decided to stick with the same colour. I think you can pretty much wear it with anything but I wouldn't try to wear patterned trousers with it or anything. I think it would look amazing tucked into a skirt with a cardigan. The price of it is really good to because the quality is amazing. I'll definitely be purchasing another one in a different colour when I next go shopping. 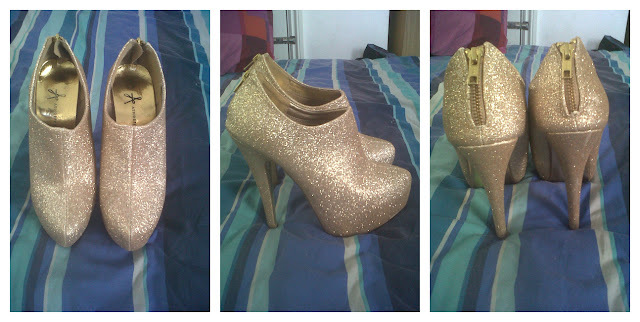 I got these beautiful heels for my uncles wedding. I was really undecided on what heels to wear as my dress was yellow but I think pretty much any colour would have gone with it. These just stand out so much and I love glitter. They have a big platform at the front which makes them a little bit easier to walk in, even though they killed my feet after a few hours at the wedding yesterday, haha. I know if I do go to any more parties that I'll probably be wearing these out again. I also think they look more expensive than they actually are. I know that jean jackets are more for the summer days but when I saw this I knew I really wanted it and plus the the price had dropped which really made my day. The colour is so unique and I guess it isn't that cold in the UK just yet. I know I can wear this when I'm out and about and like doing some shopping and stuff. 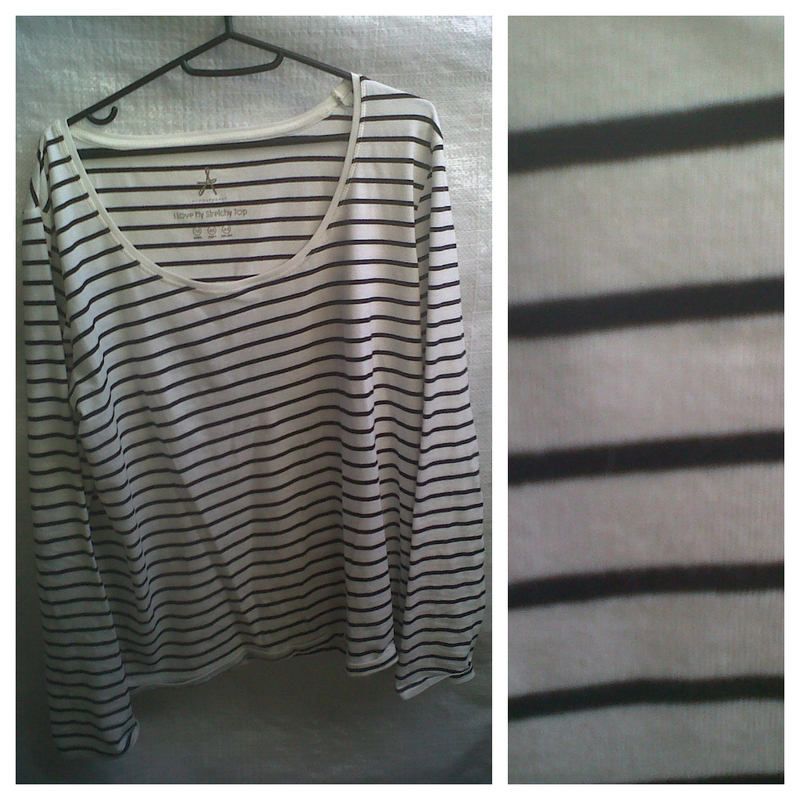 I actually wore it out already with my new striped T-shirt underneath and I really liked the way it looked. It was so comfy and was quite warm. 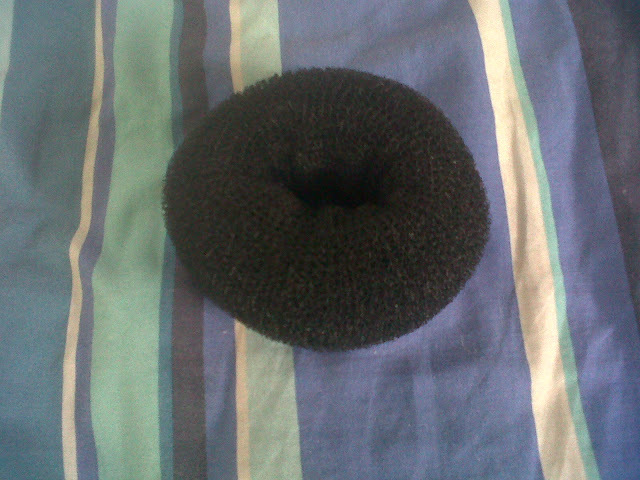 Lastly, I just got this large hair bun from a local hair shop. I got a hair bun about 2 or 3 years ago but wasn't sure how to even put it on properly and ended up cutting it (don't ask hahaha) I finally know how to use it now and I'll be trying to get the perfect bun all the time now. You can just call me & Ally the bun twins from now on. ;) I thought my hair would be too short for this large one but I managed to get enough hair to wrap around it. 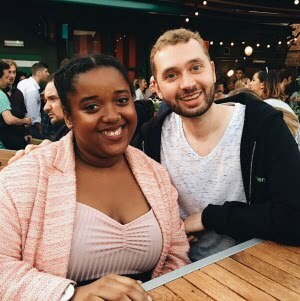 I've been needing to put new posts up, it is almost impossible to do that because by the time I get home on most college days it's too dark to take any blog pictures. :( I am going to have to try my best to take decent photos when there's some good light.